Lanto is Chohan of the Second Ray, the yellow ray, of wisdom, understanding and judgment. 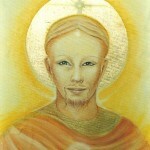 He exemplifies these and other second-ray virtues, including illumination and discernment. Lord Lanto teaches the path of attainment through enlightenment and mastery in the crown chakra, and can assist souls in receiving the Holy Spirit’s gifts of the word of wisdom and the word of knowledge. Many of Lanto’s incarnations were in China, where he focused the flame of illumination that infused that country’s culture with great wisdom. The Duke of Chou, one of his Chinese embodiments, is reputed to have been the guru of Confucius. During his final lifetime, Lanto adored God’s presence within his own heart so fervently that the divine spark residing there—the threefold flame—could be seen emanating as a soft golden glow through his chest. He desired that through this living testimony other people would also recognize and believe the truth of their own innate spark of divinity, the doorway to their personal enlightenment and victory. He sustained this visible light until he ascended around 500 B.C. Lanto’s etheric retreat is located over the Grand Teton in the Teton Mountain Range in Wyoming. Teacher of the Ancient Way Lord Lanto, great light of ancient China, now serves as one of America’s foremost savants. The devotion to the word of wisdom and the word of knowledge of this quietly-wise sage and fiery-eyed bodhisattva has truly qualified him to initiate the evolutions of earth in these gifts of the Holy Spirit. 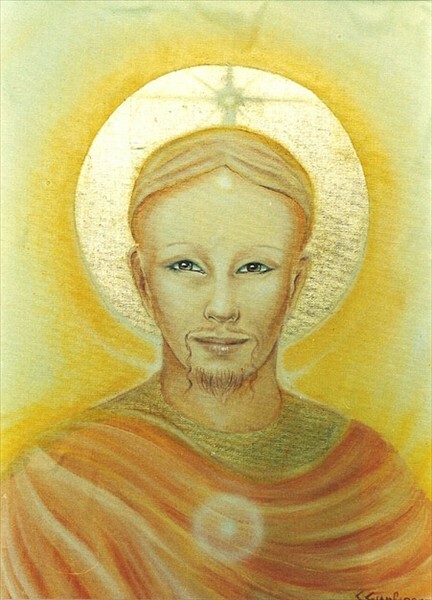 Lord of the Second Ray, he is an Ascended Master in whose presence the sublimity of the Mind of God can be touched and known, by portion, as he teaches the ancient way of universal christhood that made the golden age of China great, that comes down from Maitreya, the Coming Buddha who has come, and is brought to the fore by the hierarch of the Royal Teton Retreat, the Ascended Master Lord Confucius. Lanto conducts classes at the Royal Teton Retreat, congruent with the Grand Teton in Wyoming. In this ancient focus of great Light the paths of all the Seven Chohans are taught and the seven rays of the Elohim and Archangels are enshrined. The Lords of Karma, Gautama Buddha, and all members of the Great White Brotherhood frequent this gathering place of the Ascended Masters and their disciples, while also maintaining the specialized functions of their own private retreats. A master of sages and philosophers, Lord Lanto teaches us the path of attainment through enlightenment, definition, and dominion in the crown chakra. He gained his mastery while studying under Lord Himalaya, Manu of the Fourth Root Race, whose Retreat of the Blue Lotus is hidden in the mountains that bear his name. Electing to use the yellow ray to enfold the hearts of all mankind, Lanto dedicated himself to the perfectionment of the evolutions of this planet through the golden flame of Cosmic Christ illumination he bears, charged with his momentum of God-victory for the youth of the world. We can trace his evolution as a high priest in the temple of the Divine Mother on the lost continent of Lemuria, which occupied a large area of the Pacific Ocean, as well as subsequent embodiments on Atlantis. Following the sinking of “Mu,” as the Motherland of the Pacific was called, and the later disappearance of Poseidonis beneath the Atlantic, the last of Atla (Atlantis) which went down in stages, many adepts and priests of the sacred fire bore the flames they had guarded to other parts of the earth. Lanto was and is a Master of the power of precipitation—an alchemical process of drawing forth cosmic light and substance from the Universal and coalescing it into physical form (a predetermined matter matrix) by the science of the spoken Word. Therefore, appropriately he was chosen to bear the flame of precipitation—a Chinese green tinged with gold—to the stronghold of the Grand Teton, where the Brotherhood had established the magnificent physical focus known as the Royal Teton Retreat. Lanto later embodied as a ruler in China and as a contemporary of Confucius (551-479 b.c.). Following his ascension, he accepted the office of presiding Master of the Council of the Royal Teton and of the retreat itself in order to bring to the Western world the flame of science, technology, the culture of the Mother and reverence for Life which he and Confucius had sponsored in the Far East. Master of the fiery core of excellence at the heart of Wisdom’s Ray, hence devotee par excellence of the Divine Mother’s white fire lilies, Lanto remains the Guru of gurus of the Chinese, as well as of all souls who share his love for the golden Sunward path of the Buddhas and bodhisattvas under Sanat Kumara. Lanto, one of the original Keepers of the Flame, played a role in the earliest efforts of Sanat Kumara to fetch humanity from their darkened descent. The bands who volunteered to accompany Sanat Kumara on his mission to the dark star sought nothing less than the rekindling of the Divine Spark in mankind who, through de-evolution, had lost the original fire and animating intelligence (genus) of their Divinity. This they purposed to do from the altar of Shamballa through the Great One who had exiled himself on planet earth for the sole purpose of keeping the flame of Life. Before his ascension Lord Lanto determined that the light from his own heart flame should shine forth physically as living proof to his disciples that the threefold flame is the Word that is made flesh and that it can be thus expanded and intensified by the priority of the adept. Lanto, by the dynamism of his decrees from the heart, his devoutness to the living Word as the Universal Christ ever with him, and his consecration of the chakras to the sacred fire of the Mother did achieve what none other in earth’s recorded history since the Fall had done: Lanto so adored the Trinity in the tripartite Light of his innermost being that the intense glow of that Divine Spark could actually be seen through his flesh form emanating a soft golden glow through his chest. This he maintained in honor of Sanat Kumara until his ascension around 500 b.c., in order that the original Lightbearers might recall their mission to illumine the dark star. Throughout the nineteenth and twentieth centuries Lanto has stood faithfully behind the efforts of Saint Germain to liberate mankind through his release of the Ascended Masters’ Teachings on the I AM Presence and the violet fire. On July 3, 1958, Lanto accepted from Kuthumi the office of Lord of the Second Ray, and the Ascended Master Confucius succeeded him as hierarch of the Royal Teton Retreat. On October 30, 1966, in cooperation with the God and Goddess Meru, Lanto was granted the dispensation by the Karmic Board for a “mighty transcendent golden flame of illumination” to pulsate 300 feet into the atmosphere over the colleges, universities, divinity and theological schools of the world whose students and faculty were and would be receptive to knowledge from higher spheres. Any students of any school of higher learning may call this flame into action on behalf of the faculty and student body.